So, something major is having in September. 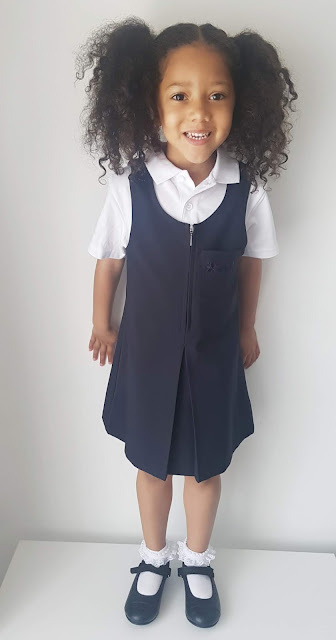 My baby is starting Primary school, yes I'm a little emotional about the whole situation I'm not even going to lie. Darcy had graduation at nursery this year and her last ever day there is just around the corner. 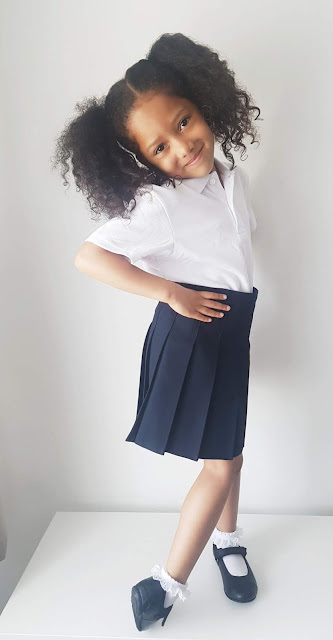 I thought I should be organised and get some of her school uniform together, I don't want it to be August and me struggling to find her uniform as everything is sold out. 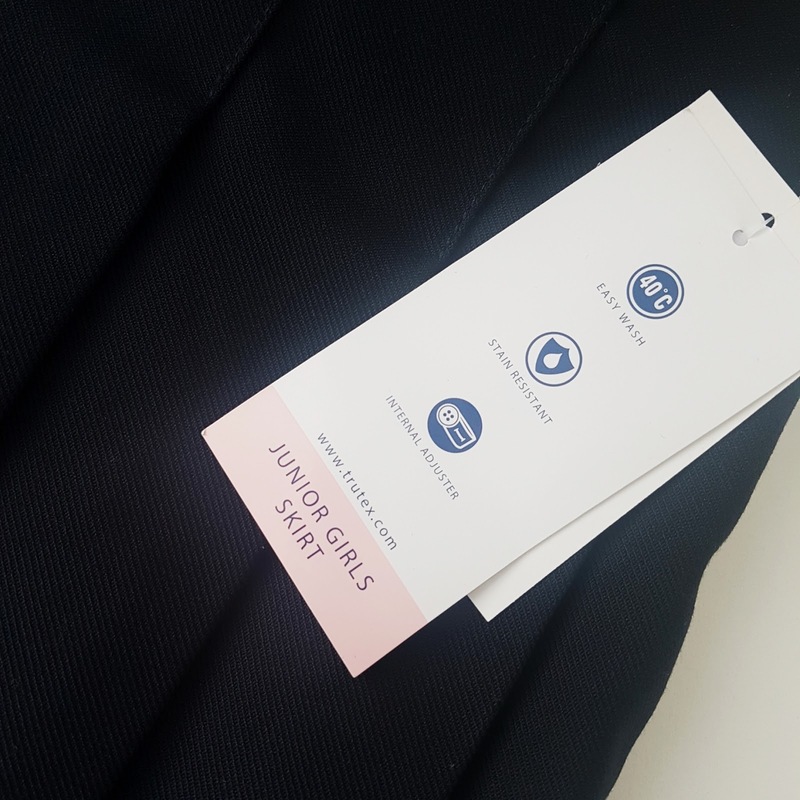 Trutex produce everything from skirts, trousers and pinafores to shirts and blazers and even PE kits. We were offered to pick a few items for us to start getting Darcy's uniform together and she couldn't wait to try them on. Darcy is tall for her age, so I made sure to size up to an age 5. To give her room to grow into them, there's nothing worst than your child having a growth spurt when you have just brought them brand new clothes. The stitch down pleated skirt is really good quality compared to other skirts I have seen. 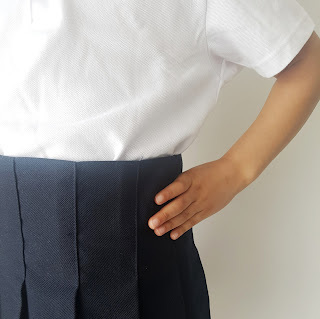 I love that there is size adjuster buttons at the sides which mean Darcy will get as much wear as possible out of this skirt, letting it grow with her during her school months. The jumper is lovely, being a good size and unisex. It has a fleece inside, Darcy commented straight away how warm and cosy it was. Perfect for the winter months ahead. 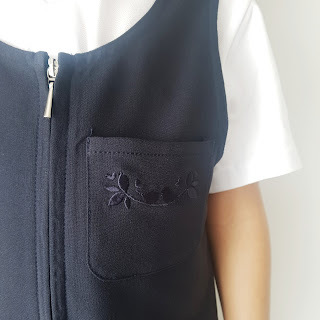 The pinafore is really smart-looking. I love that it has zip, so it makes it so much easier to put on and off. Darcy was excited that it has a pocket. 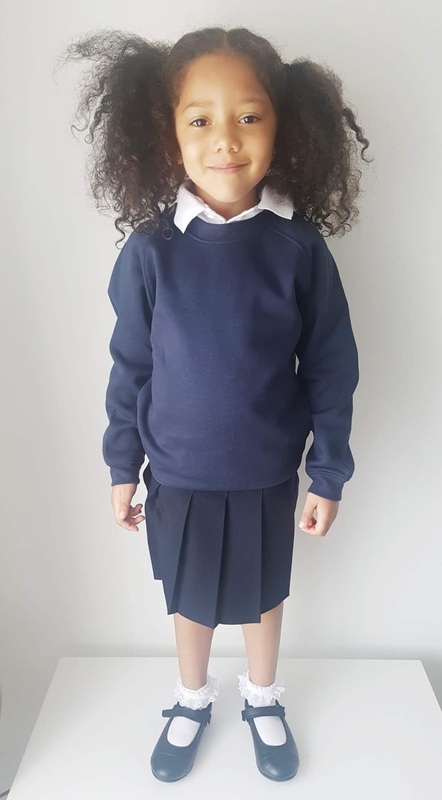 I have folded her uniform away neatly in a drawer all of its, own ready for September, I am so excited to get that official first day of school photo! I have to say that I have brought some uniform bits from a well know supermarket chain but the quality is no were as good as Trutex. Their whole school uniform range is lovely and just what any child needs for school. 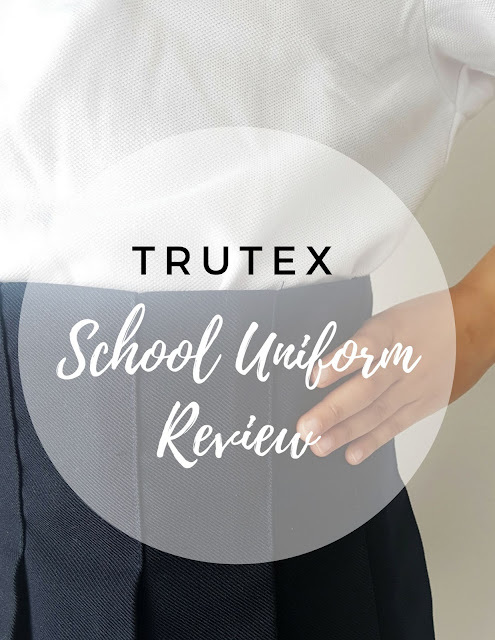 I have never heard of Trutex before this review but now I know I’ll be buying uniform pieces from them regularly going forward. Have you got your childs uniform sorted yet?